We meet with our clients to help them determine the best course of action for their future. We understand that there are emotional as well as financial aspects to your decisions. Our investment process helps you see your options clearly. We customize our approach to wealth management by building relationships based on clients’ needs and aspirations. By analyzing your distinct goals, risk tolerance and motivations, we can recommend the most appropriate solution and set your financial plan in motion. Combining your objectives with our global economic outlook, we construct a diversified asset allocation that fits your specific needs. This allocation serves to keep you within your risk tolerance and increase the probability of reaching your goals. 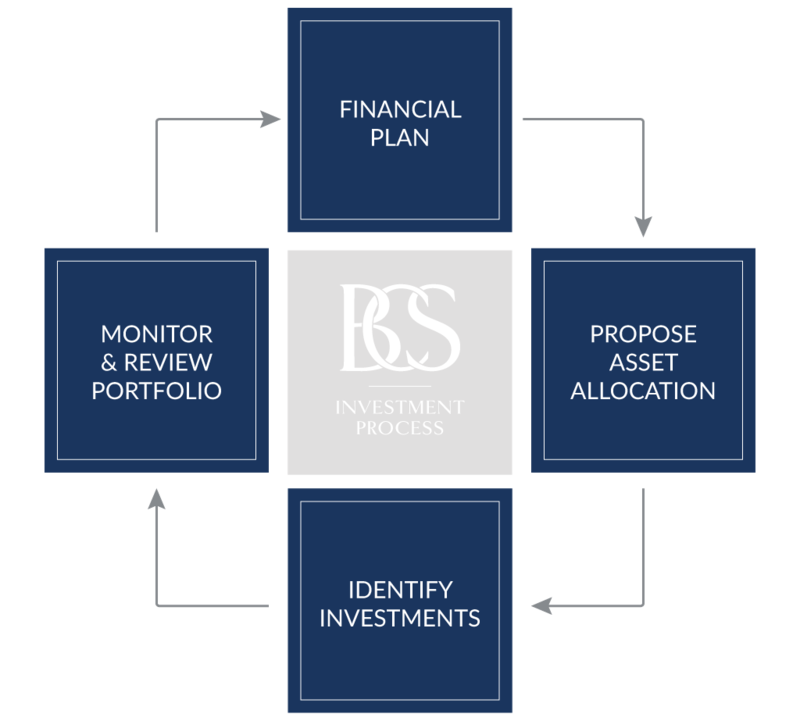 Once the allocation has been determined, we use a wide range of resources to identify individual investments within each asset class that we believe will outperform their peers over the stated time horizon. Your risk tolerance and any unique needs or wants help identify these investments. As clients grow older, as children reach adulthood and, as circumstances, or the markets, change we recognize that planning decisions must be dynamic. Your account does not go unwatched once your investment plan is put into place. All accounts are monitored daily to make sure investments are performing in line with each client’s goals and risk tolerance. Regularly scheduled client meetings ensure that that each client plays a role in their financial plan and that any changes that could alter your needs or objectives are accounted for.